Order Your Copy of Hawaiian Rebirth Today and Get Over $600 in Exclusive Bonus Gifts from the Author! Order the book from Amazon or your favorite book seller. Validate your purchase below to receive your $600+ in bonuses. Hawaiian Rebirth leads you on a marvelous journey of spiritual and professional self-discovery. The book begins with Yves’ miraculous story of healing and rebirth in Hawaii at the beginning of his own journey of transformation. It’s a complete road map that guides you to discovering your gifts, finding your life’s purpose, and fulfilling your destiny interwoven within fascinating stories from the author’s worldwide adventures. While each of us has the same goal of finding our life’s purpose and ultimately fulfilling our destiny, we’re all headed to different places. Hawaiian Rebirth helps you commit to moving in the direction of your desires, despite challenges and obstacles. When you don’t give up on your hopes and dreams, miracles happen and new paths are revealed to you! The questions, stories and strategies outlined in this book will help you to find your purpose and realize any goal you dream of achieving. Part 1 of is focused on helping you learn to ask questions that will help you to live your dreams and find your own answers. Part 2 provides you with tools, techniques, and concrete steps to help you to implement any changes needed in your life efficiently and effectively. In Part 3, you’ll find inspiring stories about people—and even animals—who are living or have lived their true life’s purpose. In Part 4, the author provides three bonus exercises to help you start taking action towards making your own vision a reality—right now. Attract people, places, and things that are alignment with your purpose. Find others who have visions or purposes that are in resonance with yours. Together, you and those you attract can create something far more powerful and valuable than anything you could create alone. Clarify your passions, deepen your understanding of why you were born, unfold into your true self, and fulfill your destiny. All the questions, tools, techniques, and steps Yves shares are simple and easy to follow. By implementing Yves’ system, even when you are buffeted by the storms of life, you can stick to your purpose and grow your talents with perseverance, flexibility, and openness. When something no longer serves you or when your life choices and pursuits no longer feel right and a new option presents itself, it’s time to make a decision and choose. In 2009, I decided to work with a life coach. As a result, I experienced systemic coaching from the perspective of a client before embarking on my own life coaching education. But even though I felt called to this new line of work, I wasn’t yet ready to become self-employed. It was only after my burnout experience in 2010 that I was finally able to move forward on my coaching path. In that time of crisis, I had many valuable experiences—the most important of which was that I learned which kind of support, tools and strategies worked for me and which did not. First, write down the problem. Then, write down two options for a particular scenario (solution A or B, or ‘certain’ or ‘uncertain’) on two pieces of paper. Then, put the sheets on the ground. Next, stand with both feet on one of the two sheets, and then move your feet to step on the other. Close your eyes and become aware on a ‘feeling’ level what each choice will bring to you. This simple exercise cultivates a gut feeling that is stronger than your thoughts. It encourages you to find a holistic, grounded solution that feels right, both in your mind and in your heart. When you stand at a crossroads and feel uncertain about which path to follow, it is helpful to close your eyes and focus on your breath. Imagine the outcome of each possible decision. Let your feelings determine your path. Which path feels most alive, exciting and truthful? That is always the right path. Many people describe this as letting their “belly” decide. Each time you do this, you learn more about what you really want. Keep it up and your gut feelings will become stronger and more reliable over time. 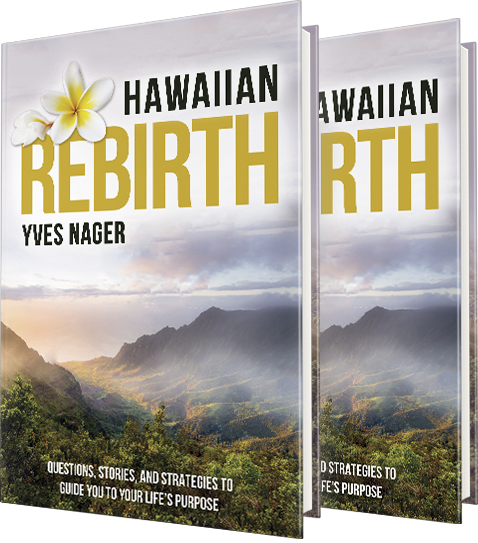 Yves Nager is author of Hawaiian Rebirth: Questions, Stories and Strategies to Guide You to Your Life’s Purpose and a co-author of the Amazon bestseller, Inspired by the Passion Test. He also contributed a chapter to the book Ilahinoor – Awakening the Divine Human by Kiara Windrider. 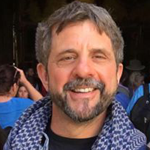 Yves is a gifted healing facilitator for both people and animals, a certified life coach, and a Yoga Nidra teacher. 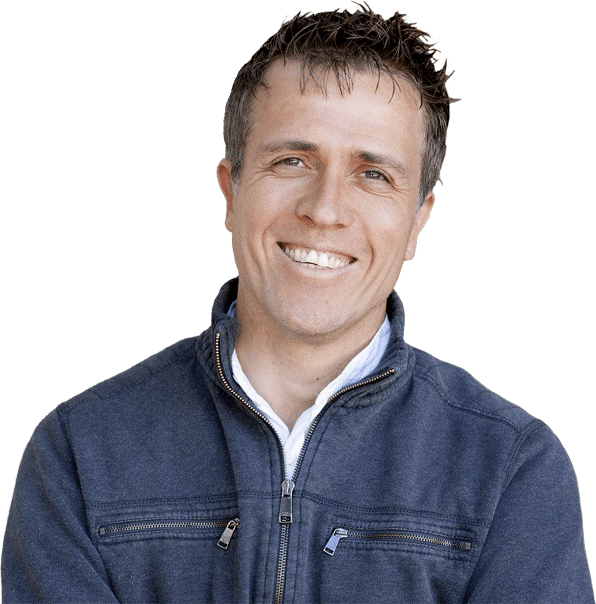 Yves is passionate about supporting people in transcending their limitations, creating new possibilities and transforming their challenges into freedom. Having overcome his own life challenges, Yves understands the transformational power of forgiveness and gratitude. He knows that focusing on your heart’s desires and intentions leads to the creation of miracles. He is dedicated to helping others to discover their unique gifts and to live their lives with passion, joy, and abundance. Together with his beloved wife, Eunjung, Yves has travelled to thirty-five countries around the world facilitating workshops and retreats. He lives on Kaua’i, Hawaii. "Yves Nager is a wisdom teacher, navigator, and guide for meaning and purpose. Here he provides tools, stories, and maps for the most important journey of your life...home to the truth of who you really are and why you are here. This exquisite book, Hawaiian Rebirth, will inspire and awaken your heart and soul while showing you how to fulfill your heart’s desires." 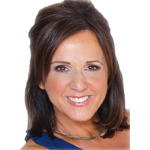 — Marcia Wieder, CEO, Dream University and bestselling author. 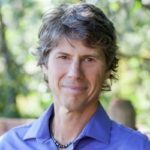 "Yves Nager, a truly passionate adventurer of life and a humble mystic, shows brilliantly in his new book, Hawaiian Rebirth, how following your heart and continuously choosing in favor of your passions leads you to a life filled with wonder, a sense of destiny, and unlimited possibilities of living your greatness." 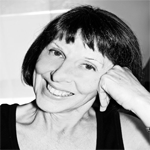 — Janet Bray Attwood, New York Times bestselling author of The Passion Test and Your Hidden Riches. "In this book, Yves Nager has expanded the principles of the Passion Test to help you clarify your passions and deepen your understanding of the reason you were born. Hawaiian Rebirth will take you on a journey that will serve as a map to use as you fulfill your unique contribution to the unfoldment of yourself to itself." 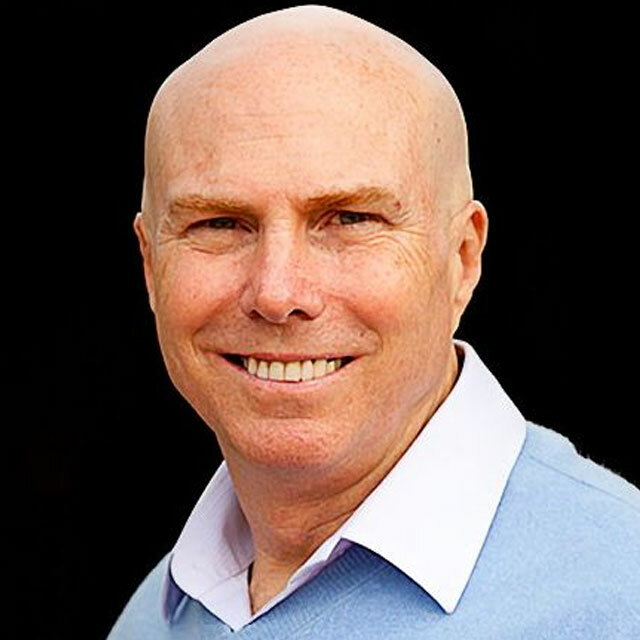 — Chris Attwood, Bestselling author of The Passion Test and Your Hidden Riches & President at the Beyul Club. "I have known Yves Nager for many years and joined with him and his wife, Eunjung, in some of their journeys of life. I am touched by their sincerity and their passion, their dedication to service, and their love for this Earth. I am touched by their fearlessness, their ability to move as the wind moves them, and to become the wind itself. Thank you, Yves, for demonstrating the ‘passion way,’ and for holding your candle through all the ups and downs of life, so that each of us might learn to trust the One Light that has always already been shining so brightly, even through the darkest of nights." 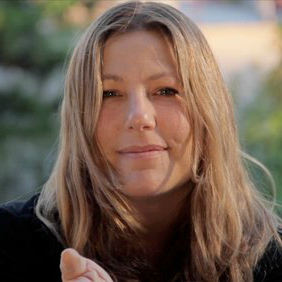 — Kiara Windrider, International spiritual teacher and author of several books including Gaia Luminous, Homo Luminous, and Ilahinoor. "Yves is one of those rare individuals who has the know-how to dive deep into his soul and create healing for himself and those around him. His journeys across the globe give him keen insight into human behavior, which adds to the depth of his storytelling. He makes a difference in this world because he is willing to do the hard work of personal transformation and he wants to share his knowledge. Hawaiian Rebirth, inspired me to examine my own journey and created many opportunities for me to look within." — Shajen Joy Aziz, creator of Discover the Gift, Award-Winning International Best-selling Author, Educator, Filmmaker, and Entrepreneur. When someone is connected to dharma, then their life feels rich and full. Nothing is missing, nothing needs to be added or taken away. Life feels meaningful, purposeful. In these times, many people appear to struggle in their life. They struggle because they are disconnected from dharma, that path of action which will allow them to fulfill their unique and special role in the unfoldment of knowledge (for what we call life is actually the sequential unfoldment of consciousness coming to know itself). My personal feeling is that the Lord does not simply manifest in human form, but also in the form of tools like The Passion Test (which I developed with Janet Bray Atwood), to reestablish dharma. For those who are not lucky enough to be spontaneously connected to dharma, the path to meaning in their life is through their passions. It’s not an accident that a person loves the things they love or that they care about the things they care about. Even when one is immersed in the Self, neither repelled by nor attracted to one thing or another, the path of an individual life takes that person in some directions rather than in others. The path to wholeness is through the vehicle we call love. Love connects. Love draws what appears to be separate together. When we fall in love with every aspect of life then life becomes one magical, connected whole. Passion is one aspect of this love. When someone makes a list of the things they love most about their life, they are expressing elements of their unique nature, of their dharma, their purpose for being alive. Because our brains are designed to only be able to hold five to seven things at one time, it’s almost impossible to give attention to twenty or thirty or more passions, or loves, at once. So, the Passion Test provides a simple method to take this expression of one’s dharma in the list of passions, and identifies which of these are the five that have greatest meaning, that are dearest. This doesn’t mean everything else is not meaningful. The list of five passions that comes out of the Passion Test process is simply an indicator, right now (not forever), of the things that will bring the most fulfillment in life and lead one on to fulfill one’s purpose, or dharma. This list of five passions becomes a decision-making tool. As Janet and I say in The Passion Test book, “Whenever you’re faced with a choice, a decision, or an opportunity, choose in favor of your passions.” While this is a simple and perhaps obvious truth, so many people today do what they think they “should” do that this simple instruction changes their whole experience of life. And our experience from sharing the Passion Test all over the world is that as people consistently choose in favor of their passions, they discover that their life begins to feel more and more meaningful. Of course, not everyone needs the Passion Test. Some people spontaneously follow their passions. Yet, most people in the world today are not in that boat. In this book, Yves Nager has expanded the principles of the Passion Test to help you clarify your passions and deepen your understanding of the reason you were born. Hawaiian Rebirth will take you on a journey that will serve as a map to use as you fulfill your unique contribution to the unfoldment of yourself to itself. "You will find Yves Nager's new book, Hawaiian Rebirth, intriguing and inspiring, yet practical. Yves offers guidance to what he calls "the most meaningful adventure of your life—the discovery of your gifts and passions." He is clearly here to be of service and he shares what he has learned through his own experiences and transformations. He is passionate in his desire to help you discover how to live your highest destiny. He offers a cornucopia of knowledge and wisdom and comes from the heart. I hope you will say yes!" — Sharlyn Hidalgo, Author of Nazmy: Love is My Religion. "If you believe your spiritual realm may be suffering and causing you to feel a lack of a sense of purpose, Yves Nager’s new book, Hawaiian Rebirth, will offer you a reliable roadmap for discovering your true and intended purpose. Increasing self-awareness, goal-setting, what it means to be happy, and achieving your dreams are just some of the topics covered in this actionable step-packed book. If you are ready to get to work on changing your life for the better, releasing an unbridled passion for living by discovering your true life’s purpose, and having a more meaningful and balanced existence, then I highly recommend this book." 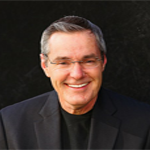 — Dr. Clark Gaither, Medical Doctor, Bestselling Author of Reignite and Powerful Words. "The inspiring, intriguing stories from Yves Nager’s mystical, world-wide adventures will open your heart wide and expand your vision. If you are looking to bring more passion, purpose, and meaning into your life, then Hawaiian Rebirth offers you an insightful array of tools and life strategies that will guide you toward achieving your most cherished dreams and aspirations." "I met Yves Nager through The Passion Test and found him and his work genuine, refreshing, and profound. His new book, Hawaiian Rebirth, is so full of nuggets of wisdom and inspiring, intriguing stories that you cannot but feel transformed by just reading it. Of course, if you actually put into practice the insightful steps and strategies Yves has mapped out in the book, your life will definitely turn around for the better, with you following your heart and living your highest purpose." "Yves Nager’s book Hawaiian Rebirth is one of the most in-depth and detailed guides I’ve read on the transformational process involved with uncovering and pursuing one’s life purpose. 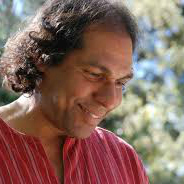 Yves’ simple, straightforward, and passionate demeanor comes forth in this book which elaborates on some of the more challenging topics in transformational consciousness. You’ll come away from reading Hawaiian Rebirth with the belief that transforming your life is a challenge worth taking on and that it is a healing journey you must embark upon immediately with his guidebook in your hands." When you order your copy of Hawaiian Rebirth you'll receive these 6 exclusive BONUSES worth more than 30X the price of the book! 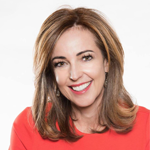 This heart-opening webinar includes beautiful and inspiring stories, meditations and energy transmissions and much more to help you navigate your life with crystal clarity, centeredness and powerful yet loving creational energies of Lemuria. Get free access to 3 downloadable online webcasts (2 hours each - a total of 6 hours). As you pursue your dreams and passions, taking care of your health and making your well-being a priority is essential. To maintain this new vibration of balance, harmony and well-being, you need to be willing to change and take responsibility as an authority of your life. Get exclusive access to a recorded 80-minute healing session recorded on Nov 11, 2018 that Yves facilitated online live from Kaua’i, Hawaii. - Take creative action to manifest your dreams. Start each day fully present to your whole being—body, mind, heart and spirit. This way, you can focus and direct your awareness and energy toward what is at hand in each moment and on what you intend to accomplish and create every day. These exercises will help you to merge with a loving and nurturing space within you. Get exclusive access to the 1-hour audio recording that contains 22 exercises and an 11-min morning meditation from the audiobook version of Hawaiian Rebirth. Yoga Nidra is a powerful and ancient technique through which you can learn to consciously relax. Through the sequenced design of Yoga Nidra, you can induce a state of complete physical, mental, and emotional relaxation, and shift your consciousness functioning at a deeper level of inner awareness. Discover the secret how to activate your gifts, transform your life and create your true path, to achieve health, happiness and abundance. What life do you want to lead in 1 year, 5 years or 10 years? 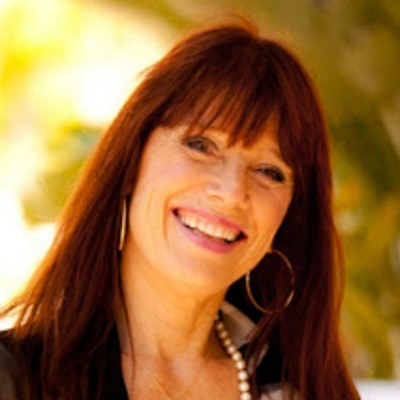 Get a private 90-minute online coaching and healing session with Yves Nager. He'll guide you through a complete road map to discovering your life’s purpose and will enhance your health and well-being. Order Hawaiian Rebirth TODAY from your favorite book seller.